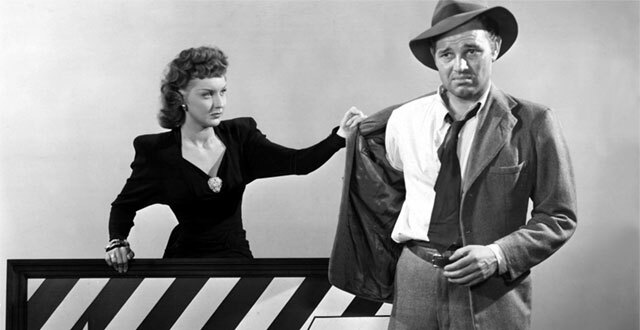 Today, our friends at Janus Films announced that later this year they’ll tour The Film Foundation’s new 4K restoration of Ulmer’s 1945 film: Detour. The film will play at TCM Fest on Thursday. New York, NY. (April 25, 2018) – The Academy Film Archive and The Film Foundation, in collaboration with Cinémathèque Royale de Belgique, The Museum of Modern Art, and Cinémathèque Française, with funding from the George Lucas Family Foundation, have completed a new 4K digital restoration of Edgar G. Ulmer’s DETOUR (1945) that will premiere Thursday, April 26 at 7:45pm at the TCM Classic Film Festival in Hollywood. Audiences across the US will also be able to enjoy this seminal film noir when it is released theatrically by Janus Films in the fall. Added to the National Film Registry in 1992, DETOUR is a quintessential example of distinctive filmmaking on a low-budget. Now the Academy Film Archive has carefully restored the film with sources from three different countries and an innovative use of 4K digital technology. The film noir recounts events in the life of musician Al Roberts’ (Tom Neal) through an extended flashback. On his way to join his girlfriend Sue (Claudia Drake), in Los Angeles, he hitches a ride with con man Charles Haskell (Edmund MacDonald). When Haskell mysteriously dies, Al assumes his identity, believing he will be blamed for the death if he goes to the police. Al runs into a new set of troubles when he picks up a hitchhiker, Vera (Ann Savage), who discovers the truth and uses his lies against him. The restoration team began by examining potential sources, including: a 35mm dupe negative from The Museum of Modern Art, which was incomplete and riddled with jump cuts; a 35mm safety composite print from the Cinémathèque Française; and a 35mm nitrate print from the Cinémathèque Royale de Belgique. That print, thought to have been made from the original camera negative, was clearly the best element in terms of image clarity, contrast, and density, but had never been considered as a source for preservation because it contained burned-in French and Flemish subtitles. This obstacle was overcome by scanning all of the print elements to 4K, then compositing frames from the MoMA print over the matching subtitled frames from the Belgian print. Where frames from the MoMA print were missing, and in shots that contained significant movement within the frame, the subtitles were removed by dedicated and talented digital artists using digital painting techniques. On Sunday, April 29, the TCM Classic Film Festival will also feature TUNES OF GLORY (1960, d. Ronald Neame), another film restored through the collaborative efforts of the Academy Film Archive, The Film Foundation, MoMA and Janus Films, with generous support from the George Lucas Family Foundation.